Wall Street is turning cautious, ahead of corporate earnings results that are expected to mark a downward trajectory. According to the latest estimates from the research firm FactSet, the S&P 500 in the first quarter of 2019 is on track for an earnings decline of 3.9%. For the last several previous quarters, robust earnings growth was a major factor keeping the bull market alive. The 2017 U.S. tax cut acted like a shot of steroids, fueling stock market gains as companies used their tax windfalls to launch share buyback programs. Well, the steroids are wearing off and the global economy is showing signs of slowing. Headwinds include the U.S.-China trade war, rising input costs, and uncertainty over government policy and interest rates. Does that mean you should avoid growth stocks? Not by a long shot! You can still find reasonably valued growth stocks that are poised for outsized gains. The key is to focus on strong financial metrics that include low debt, robust free cash flow, and projected earnings growth of double digits or more. It’s also important that these companies provide products and services that customers will need well into the future. I’ve done the homework for you. Below are my picks for the best growth stocks of 2019. Himax Technologies (NSDQ: HIMX): This chip maker is tapped into the booming field of virtual reality/augmented reality (VR/AR). FireEye (NSDQ: FEYE): As a leading maker of cybersecurity products, this software firm is positioned to benefit from the worsening scourge of hacking. GW Pharmaceuticals (NSDQ: GWPH): This biotech is developing new cannabis-based drugs for maladies that defy conventional treatments. XPO Logistics (NYSE: XPO): This provider of logistical and shipping services around the world is exploiting niches that are ignored by its larger rivals. Astronics (NSDQ: ATRO): In a sector dominated by giant aerospace/defense firms, this small-cap has carved out a niche in the growing electronics field. In a minute, I’ll delve into the details of our stock picks. But first, let’s get our terms straight. What exactly are growth stocks? A growth stock is one that’s projected to perform at an above-average rate relative to the broader market. Growth stocks aren’t for income investors; they rarely pay dividends. But they boast earnings and revenue potential that outstrip the average stock, with substantial cash flow as well. Often, the earnings growth rate can be dramatic, in the double-digit or even triple-digit figures. Growth stocks are suitable for investors who seek market-beating capital appreciation. They offer sizable share price gains, if you can stomach occasional volatility. Many investors harbor mistaken preconceptions about growth stocks. They assume that a growth stock must be small, or only in the technology sector. Not so. In fact, the stocks examined below represent a range of sectors and market caps. You might be asking: what’s the difference between a growth stock and a value stock? This video quickly explains the major distinctions. How Do You Determine What Qualifies As a Top Growth Stock? Ideal growth stocks sport valuations not significantly out of synch with peers or the broader market. That said, investors should be willing to tolerate a high valuation if it’s justified by outsized growth potential. The company also must occupy a fast-growing industry. If not, eventually the industry will act as a drag on growth. A quality growth company typically has a competitive edge in its respective market that supports its expected upside. It’s preferable that the company provide a product or service that people can’t live without, which helps ensure sustained momentum. Let’s take a look at the top growth stocks to buy in 2019. Each of these stocks boasts projected earnings growth in 2019 that far outpaces the bearish earnings growth forecasts for the S&P 500. Headquartered in Taiwan, Himax currently supplies, or is expected to supply, display circuits to three of the most popular brands in VR/AR devices: Facebook’s (NSDQ: FB) Oculus Rift, Microsoft’s (NSDQ: MSFT) HoloLens, and the second generation of Alphabet’s (NSDQ: GOOGL) Google Glass. The projected profits in the VR/AR industry are enormous. Goldman Sachs (NYSE: GS) estimates that the market will reach $80 billion by 2025, with the potential for that figure to actually soar much higher, to more than $180 billion. Sales of Himax’s devices should ignite once VR headsets and AR smart glasses achieve sufficient economy of scale to bring prices down to a broader segment of consumers. As the supplier of the chips that manage the displays in these devices, Himax stands to be one of the first component suppliers to benefit from increased sales. One of HIMX’s most attractive features as a stock is its mid-cap status, in a year when small- and mid-cap stocks are expected to outperform. With a market cap of $592.1 million, the company is big enough to survive the ups and downs of the volatile VR/AR market, but small enough to hand investors the outsized capital gains that are difficult for mature Silicon Valley titans to achieve. As a leading supplier with $117.6 million of cash on the books, Himax is poised for market-beating earnings growth. Operating cash flow (most recent quarter) is a robust $4 million. In an industry dotted with small-cap, fly-by-night start-ups, Himax boasts a solid balance sheet and will remain competitive for the long haul. HIMX’s forward price-to-earnings ratio (FPE) is 31.2, reasonable compared to the company’s growth prospects and some of its highly overpriced peers. The average analyst expectation is for HIMX to generate year-over-year earnings growth next year of 175%. FireEye provides cyber security solutions for public and private sector organizations, including network and email security products. The company’s well-known brands include FireEye Security Orchestrator, FireEye Helix, and FireEye iSIGHT Intelligence. With a market cap of $3.3 billion and based in the heart of Silicon Valley in Milpitas, California, FireEye is closer in size to the mid-cap range but should nonetheless outperform its larger brethren. This year, small- to mid-cap companies (especially those in the tech sector) are expected to prosper. Aside from its innovative and increasingly popular products, FireEye offers another enticement: the whisper on Wall Street is that cash-rich behemoths such as Cisco (NSDQ: CSCO) or IBM (NYSE: IBM) are angling to buy-out the company. The likelihood of a FireEye buyout has grown thanks to the 2017 U.S. tax cut bill, which made it advantageous for tech companies to repatriate their enormous cash hoards from overseas. Tech companies are putting that cash to good use, by playing Pac-Man and gobbling up smaller, entrepreneurial companies. A FireEye acquisition would probably reward its shareholders with a windfall. It’s a good sign that institutions own roughly 70% of FEYE’s stock. Not only is this ownership a vote of confidence from seasoned analysts, but once institutional investors establish large positions in a stock, their next motive is to find ways to drive up its value. FireEye’s FPE is 53.9, rather high compared to the S&P 500’s FPE of 17.5, but not excessive in light of projected growth and not out-of-whack with most of its rivals. The average analyst expectation is for FEYE to generate year-over-year earnings growth next year of 63.2%. Over the next five years, earnings growth is projected to come in at 113.6%, on an annualized basis. The long-sought normalization of marijuana laws is becoming a reality among an increasing number of countries and U.S. states, spawning a huge industry. “Pot stocks” are attracting venture capitalists and individual investors the way a magnet attracts iron shavings. As marijuana evolves from shady practice to mainstream capitalism, a host of entrepreneurs are cashing in, not only by growing and selling pot but by creating medical treatments, branded edibles, “marijuana tourism,” vaping parlors, paraphernalia, shops, seeds, fertilizers, trade shows — you name it. Here’s the rub: most of these companies are small, under-capitalized and extremely risky. But after scrutinizing a host of marijuana stocks, I’ve found the best of the bunch: GW Pharmaceuticals. With a market valuation of $5 billion, UK-based GW Pharmaceuticals is one of the very few weed companies that isn’t a micro-cap, penny stock. GW Pharmaceuticals discovers, develops, and markets cannabinoid prescription medicines. There’s a significant need for new painkilling medicines and cancer treatments that pharmaceutical giants aren’t meeting. GWPH’s primary product is Sativex, an oromucosal spray for the treatment of multiple sclerosis, cancer pain and neuropathic pain. Sativex (scientific name nabiximols) was the first natural cannabis plant derivative to gain market approval in any country. GW Pharmaceuticals also offers Epidiolex, which treats rare and resistant forms of pediatric epilepsy. The company has been marketing the breakthrough drug in more than 20 countries outside of the U.S., through partnerships with Big Pharma. Epidiolex received approval from the U.S. Food and Drug Administration in June 2018. Now that it’s available in both the U.S and overseas, this drug is a potential blockbuster. GWPH’s FPE is 51.9, which is reasonable (especially for a pot stock). The company has an ample war chest for investing in medical research, with $591.5 million in cash on hand but debt of only $5.6 million. Total debt-to-equity is a low 0.84. Wall Street is confident that the company’s efforts will bear fruit. The average analyst expectation is for GWPH to post year-over-year earnings growth next year of 134.3%. When most investors see the word “logistics,” they immediately think FedEx (NYSE: FDX) and United Parcel Service (NYSE: UPS). But smart investors learn to look beyond the obvious brand names, to unearth smaller and often unknown players with greater room for growth. As logistics becomes increasingly important for competitiveness in the global business world, one company is in the forefront of industry innovation. But you’ve probably never heard of it, which makes it an opportune investment right now. This under-the-radar company is XPO Logistics, which provides transportation and logistics services, primarily in the U.S., that include freight brokerage, “intermodal,” less-than truckload, truckload, forwarding services, and time-critical shipping. The company is poised for robust growth in 2019, making it a growth stock winner in what promises to be a tough year for investors. As economic recovery remains (fitfully) on track, demand is growing for shipping logistics services that are efficient, low cost and innovative. However, there’s more to shipping than the FedEx/UPS duopoly. 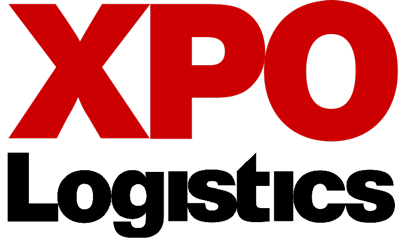 Based in Connecticut and with a market cap of $6.5 billion, XPO Logistics also provides value-added warehousing and distribution, freight bill auditing and payment services, and lean manufacturing support. Industries served run the gamut, encompassing high tech, retail, e-commerce, manufacturing, telecommunications, aerospace and defense, life sciences, health care, medical equipment, agriculture, and food and beverage. The business of transporting cargo by road is considerably more fragmented, decentralized and inefficient than FedEx and UPS would have you believe, an underappreciated reality that has spawned smaller, feisty competitors to the big household name brands. Despite their vast global footprints, the biggest companies in the logistics market have left a vacuum in terms of “one off” deliveries, less-than truckload, and forwarding services. That’s where nimble and entrepreneurial XPO comes in. The company had the foresight to make early forays into the most technologically advanced aspects of transportation, notably shipping services that are intermodal. XPO’s FPE is 13.4, in line with its industry and well below the FPE of the broader stock market. XPO’s specialization and technological edge give the company pricing power, even during economic downturns. The average analyst expectation is for XPO to generate year-over-year earnings growth next year of 24.5%. Over the next five years, earnings growth is projected to come in at 28.3%, on an annualized basis. With a market cap of $1 billion, aerospace/defense firm Astronics is big enough to weather market volatility, of which there’s been plenty, but small enough to confer the market-beating gains that often elude its mega-cap brethren such as Lockheed Martin (NYSE: LMT) or Boeing (NYSE: BA). Based in New York state, the company designs and manufactures products for the aerospace and defense industries around the world. It operates through two divisions, Aerospace and Test Systems. The Aerospace division offers lighting and safety systems, electrical power generation, aircraft structures, avionics, and other products. The Test Systems division provides automatic test systems for communications and weapons platforms, and training and simulation devices to aircraft OEMs. The company also sells test solutions to semiconductor and medical device manufactuers. In addition to tailwinds from defense, Astronics benefits from the global surge in commercial aviation. After several grim years following the Great Recession of 2008-2009, the entire aviation sector is flying high, especially in developing nations where rising middle classes are clamoring for travel. Astronics enjoys high profit margins, because it can charge premium prices for the value-added engineering embedded within its products. Astronics’ FPE is 15.5, well below the median FPE of 19.8 for the global aerospace/defense industry. The average analyst expectation is for ATRO to generate year-over-year earnings growth next year of 30.3%. Over the next five years, earnings are projected to come in at 52%, on an annualized basis. These five stocks demonstrate that even in today’s uncertain investment environment, you don’t have to sacrifice growth.